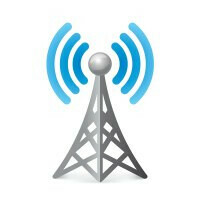 A new report authored by Fierce Wireless and global consulting firm P3 finds that of the top four U.S. wireless operators, only T-Mobile subscribers spend more time using apps over a cellular network (175 minutes a day on average) than the time they spend using apps on Wi-Fi (160 minutes a day on average). As you can see by perusing the accompanying charts, AT&T, Verizon and Sprint subscribers all spend more time using apps on Wi-Fi than on cellular. The reason for this obviously has to do with some of the zero-rated features that T-Mobile offers its subscribers such as Binge On and Music Freedom. The survey covers 6,000 smartphone users polled between January and August this year. The stats also show that Facebook users tend to favor a cellular connection instead of Wi-Fi. It is the opposite for YouTube, even among T-Mobile subscribers. Wi-fi generally doesn't have the same cost associated? these numbers do not seem surprising?